Based out of Holly Springs, North Carolina, the multi-talented producer, rapper, singer, and songwriter Joshua Massenburg a.k.a. 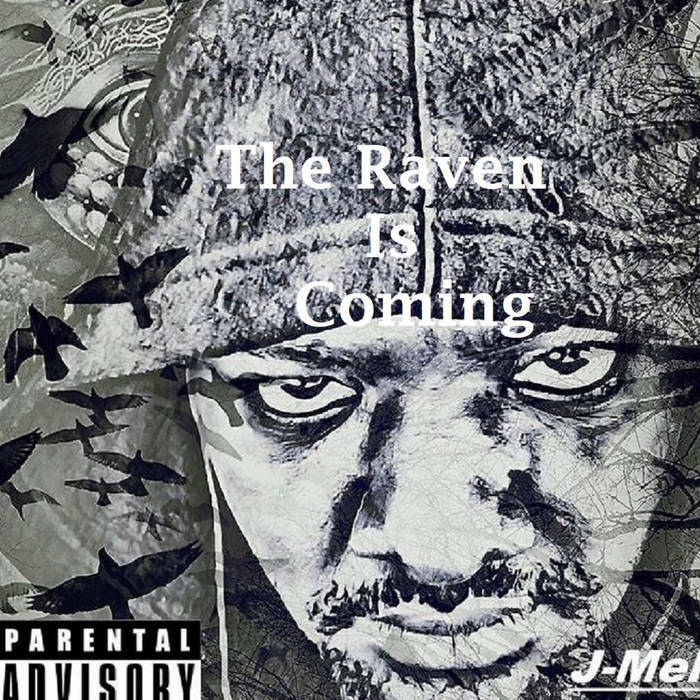 J-Mel steps to the fore of the Hip Hop arena with his new mixtape, The Raven is Coming. J-Mel puts his heart and soul into everything he does. If you’ve ever had the opportunity to watch some of his YouTube videos, one quality that is sure to standout is his hard work ethic and ambition. Not only is J-Mel staying motivated to carry out what he enjoys the most, but encourages other artists to pursue their dreams without restraint. J-Mel is unstoppable and The Raven is Coming epitomizes this very same approach to life. The Raven is Coming is a full-length project consisting of ten dynamical tracks. J-Mel wastes no time in letting his audience know that they are getting some of the best of the best with an Intro that makes you want to talk to somebody for real. J-Mel comes through with a strong presence behind the mic and a raw vocal tone reminiscent of a post-millennium Kool G Rap. Following this brilliant intro is the track Fiend. J-Mel is able to inspire all of us fiends for success with his top-notch back on the treadmill lyricism. Fiend also brandishes J-Mel’s skill in developing hooks that pull his audience in the studio with him. This determination is seen in the succeeding rap song Power. J-Mel is able to present content that is for all of us, from the hustlers to people getting their grind on in the corporate world. Power speaks loud and clear. Make It Back is the fourth track on The Raven is Coming and features the lyrical craftsmanship of CreekBoy Snoop. Make It Back successfully brings listeners to a whole new dimension and adds to the depth of this mixtape. J-Mel ‘s unique style of rap-song shines through on Influence. This track is sure to be a listener’s favorite. J-Mel introduces us to the people who were an aid in his development, namely his father. Influence presents a very unique approach to the importance of remembering those that helped us on the road to success and its all real. The Raven is Coming continues with Love is Never Easy and Creepin Sneekin (feat. Money Jay), these are two memorable tracks that dig in deep on the topic of relationships. No Fear is an appropriate title for the fiery flows of both J-Mel and Money Jay. No Fear is a solid rap song that has all the tools of courage needed in today’s world. J-Mel is able to paint the hidden hypocrisies of rappers and hustlers who flaunt a lifestyle that is not truly theirs on the track Lies. CreekBoy Snoop’s verse on Lies puts the icing on the cake. J-Mel ends The Raven is Coming with No Time No, a track that exploits the beauty and strengths of living in the moment. Every experience is valuable. Overall, The Raven is Coming by J-Mel is a Hip-Hop masterpiece. Every track on this mixtape is fire! Filled with material for rewind-button addiction, The Raven is Coming is a sign that J-Mel is en route to becoming the rap world’s new commander-in-chief. Salute! Amazing album! ‘Influence’ is definitely a favorite!